What is the true measure of business success? For years, successful companies have been defined by wide profit margins and exponential growth. In this day and age, however, businesses are shifting their definition of success beyond sales and revenue to also include further-reaching aspirations like purpose and social impact. Although any reasonable businessperson is concerned with the business’s bottom line, a successful businessperson operates from the philosophy that lasting brands are driven by purpose rather than profit. Simon Sinek, the man we credit for this concept, describes the revolutionary idea with one simple word: why. To be clear, having a “why” is much more than crafting an inspiring mission statement and developing a memorable brand story to match it. 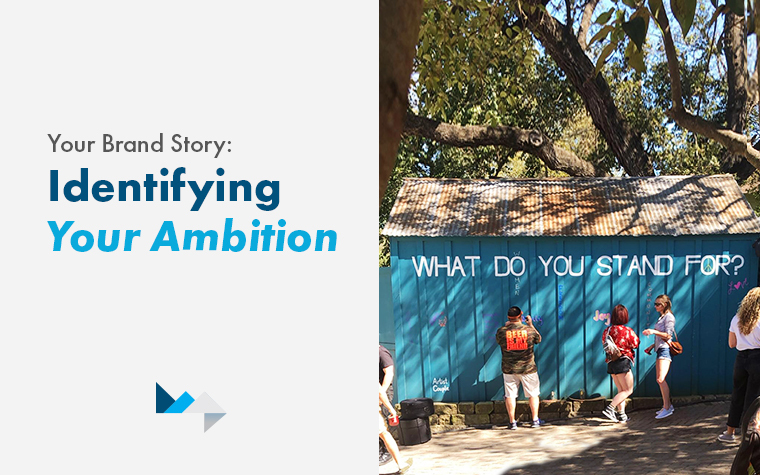 A brand’s “why” is the heart of its existence and the foundation of its brand strategy. The “why” should explain the core reason why the company does what it does (profit goals aside). Every messaging, branding, and marketing effort from there forward should align with this main purpose. When we talk about having a purpose, we’re not simply referring to donating a portion of the profits towards a meaningful cause. 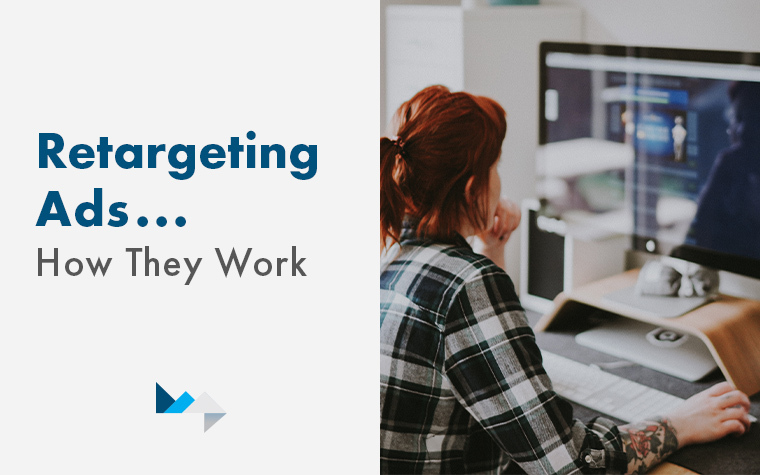 Although such tangible efforts are notable and can positively impact a brand, the true purpose of a company doesn’t always have a dollar sign – or world-changing mission – attached to it. Take TOMS for example. While the company’s mission is infused into the very DNA of its business model –to give a pair of shoes to someone in need with every purchase – its “why” runs even deeper: to raise awareness to global issues of poverty. To better understand, the “why” that Sinek speaks of can be tied to the concept of inspiration. He emphasizes that the way someone succeeds in the business world is by believing in a concept so deeply that it forms the heart of the business. For a company to succeed, it needs to inspire its customer to something – anything – out of that heart. While this concept may seem easy enough to understand, actually implementing it requires much dedication and focus. 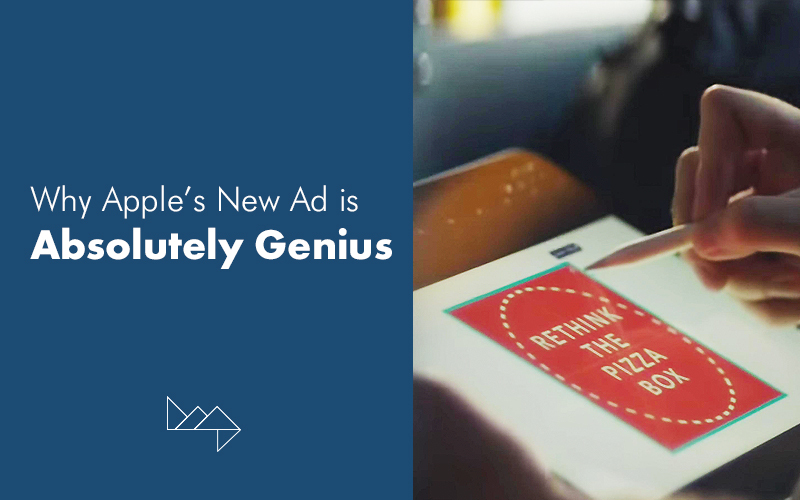 Oftentimes, a company must completely flip its mentality toward business success. The most successful brands, Sinek says, do things completely opposite from the normal brands. In order to explain this concept, Sinek focuses on three main words he calls the “golden circle:” what, how, and why. In his famous Ted Talk, Sinek explains that most companies work from the outside in. They start by explaining what their product is, how it’s different, and only then hone in on why they do it. Most companies may not even have a clear answer to the question of “why” they do what they do and why consumers should care. On the other hand, brands that last (take Apple, for example), are successful because they operate from the inside out. These brands realize that their “why” actually drives consumer behavior whereas the “what” simply hands consumers facts they’ve heard time and time again. 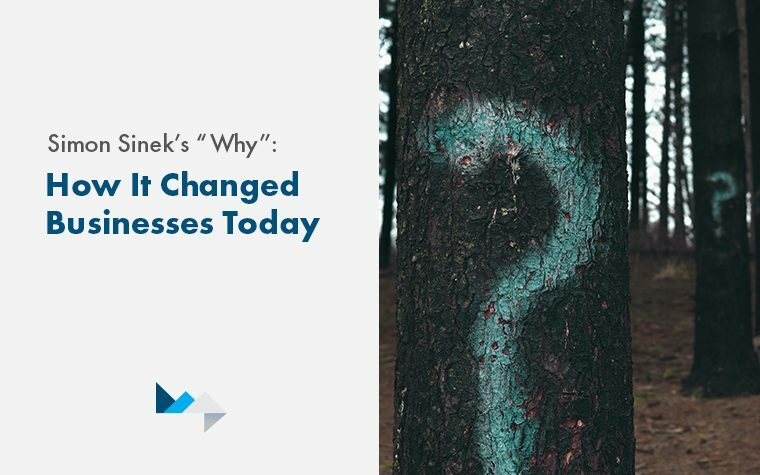 By changing the order from “what, how, why” to “why, how, what,” a business can first win over its customers’ intuition, then allow them to rationalize it with details and facts about the product. This shift means starting consumer engagement at the most effective level – brand loyalty. Rather than selling customers a product in hopes of eventually gaining loyalty, a brand sells an idea – a mission, cause, or way of life. 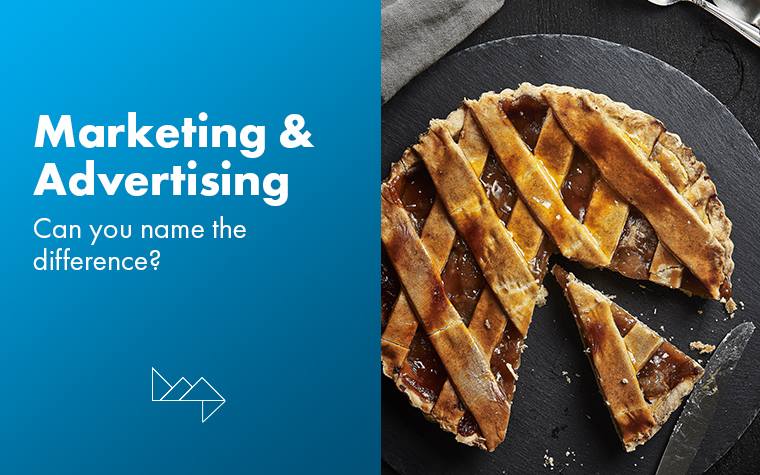 With customers already bought into the brand’s idea (its “why”), loyalty to the product comes baked in, whatever that product may be. When a brand starts with a “why,” it sets itself apart from the hundreds of competitors selling the exact same thing. 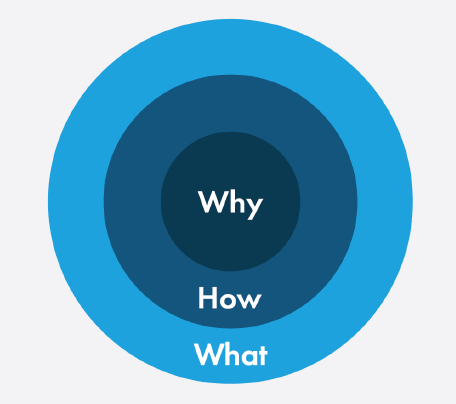 The “why” for your company should be the purpose, belief, or idea that drives your company. While profit may be the brains of your company, this purpose is the heart. Your “why” is essentially the value you believe your company can bring to the customer. Whether it’s the power to be creative or the tools to break the status quo, this “why” should be powerful enough to resonate with your customer. Not only does the “why” set your company apart, but it also builds loyalty. Sinek showed the power of brand loyalty in a new light. As he explained, brand loyalty – driven by a customer’s uttermost faith in a company –will move a customer to almost blindly trust in the brand. This type of loyalty has the power to convince millions of people to buy something as obscure as an MP3 player from a computer company – the exact phenomenon the world saw with Apple. A company known for specializing in computers gained such strong brand loyalty that customers didn’t give a second thought into the types of products they were buying. All because of their trust in the brand. Amazing, right? Now the goal Sinek emphasizes is to “sell to people who believe what you believe,” not “sell to people who need what you need.” After all, selling to people who believe what you believe is the best way to get them to stick around. Whether it’s employees or customers, sharing a belief in something greater is what truly builds loyalty, both in and out of the office. Sinek’s teachings inspired a fundamental change not only in the way businesses are run but in the way business should be run. With his emphasis of “why,” he inspired a movement that managed to turn the profit-driven, competitive and often ruthless landscape of business into one with purpose – and a heart.